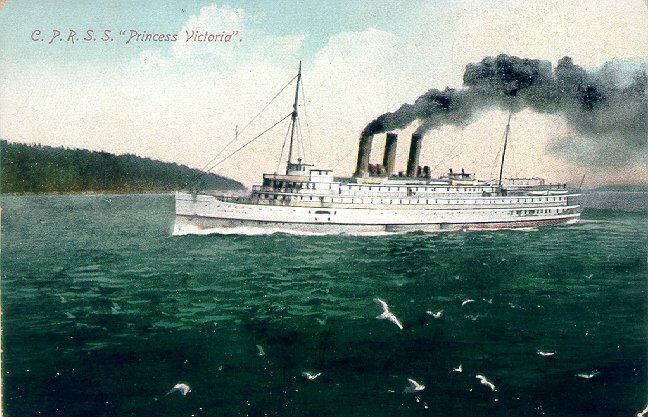 Princess Victoria was built for Canadian Pacific's West Coast service by C.S. Swan & Hunter of Newcastle. At the time of her 28 January 1903 maiden voyage from Newcastle to Victoria, British Columbia, via Cape Horn, her superstructure was not yet completed and she was unfurnished. She was completed at Robertson & Hackett in Vancouver and furnished by Canadian Pacific at Victoria before entering the Vancouver-Victoria-Seattle triangular service in August 1903. 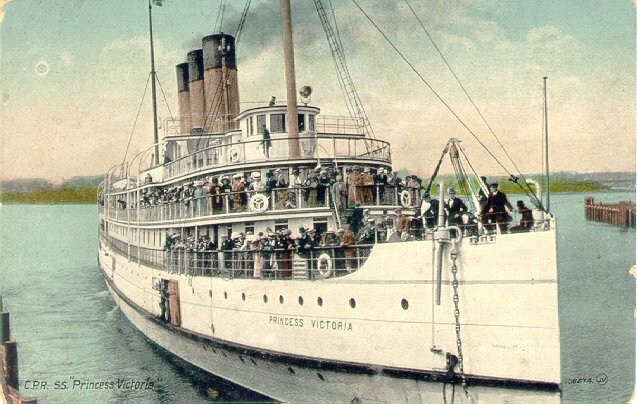 In 1930, Princess Victoria was converted into a car ferry, and served another 20 years in that role. Laid up in 1950, she was sold and converted into a fuel delivery barge in 1952. She sank after striking a rock a year later.